Get your diaries out, I've got some dates for you! First up is the MADE IN ESSEX ART, CRAFT & DESIGN SHOW at Hedingham Castle on December 3rd and 4th. I'm very proud to be at such a prestigious event, in a beautiful setting. And yes, it is 2 days!! The next one is the SILVER JAM TEA CLUB fair on December 10th. This will be held at St Laurence Church Hall in Upminster. Another lovely venue full of the grooviest people around. 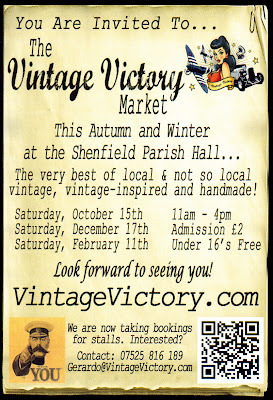 And to finish off is the brilliant VINTAGE VICTORY market at Shenfield Parish Hall in Shenfield on December 17th. Another vintage extravaganza! 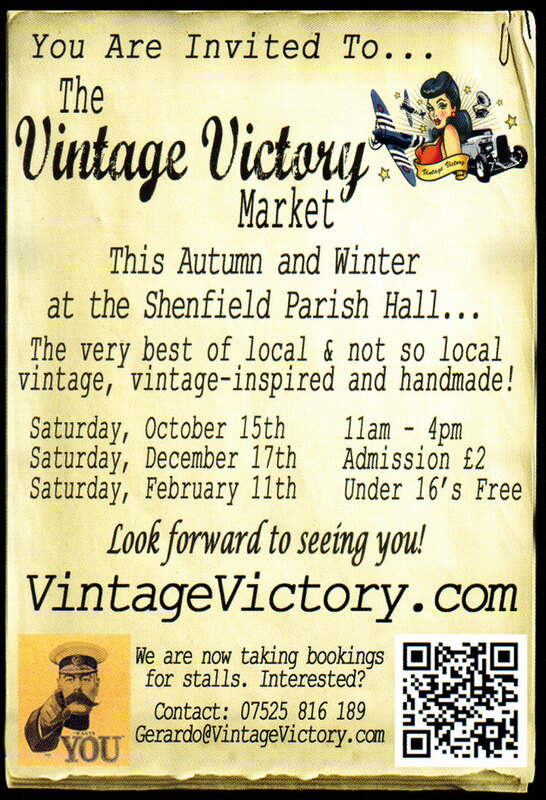 I'm very excited about all these fairs as it will be the first time I've appeared at any of them. And of course they are perfect timing for Christmas!!! 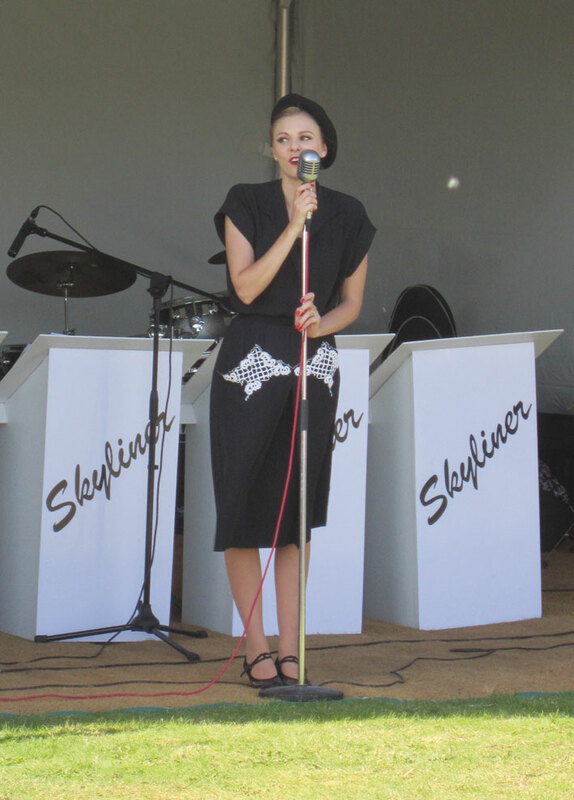 Having appeared at the Military Fun Day last weekend, it has been a crazy couple of weeks. 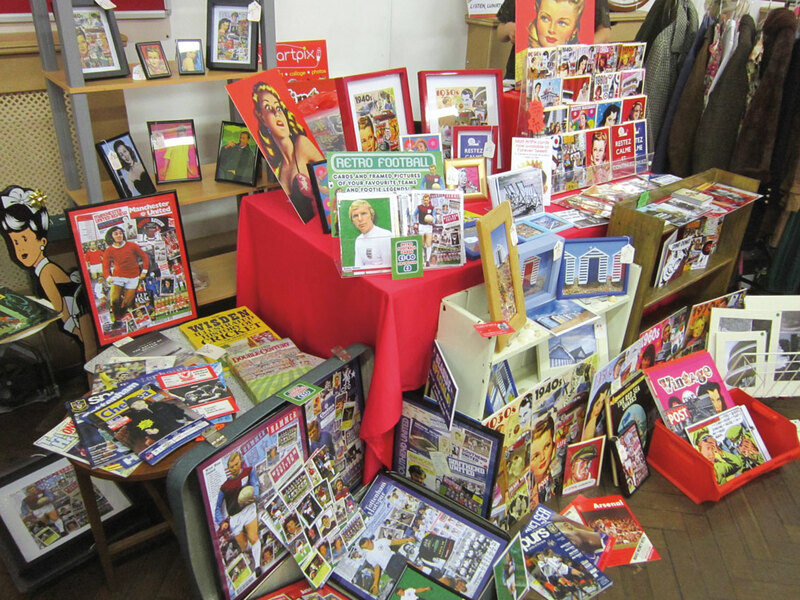 After lots of printing, sticking, framing and card-making, I was ready to rock 'n' roll at Leigh! This great event is always a winner and so it proved again yesterday. 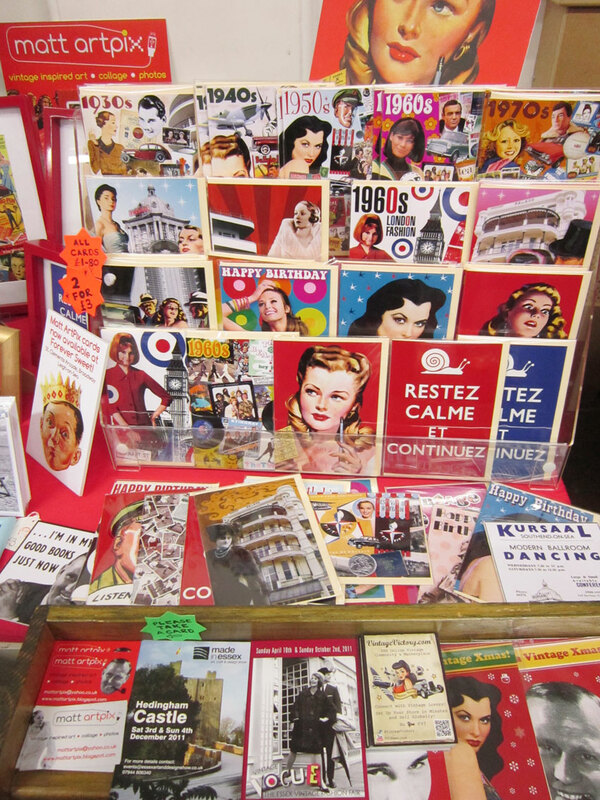 I still managed to spend most of my takings at the other stalls, but that's all part of the fun! It's always great meeting all the other stall-holders and seeing their amazing creations. 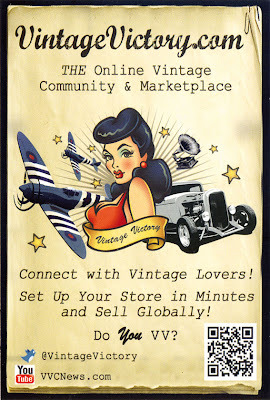 My favourite purchase was the 40s pin-up fridge magnets from TootBagEye! Restez Calme et Continuez cards, I sold loads of them again! 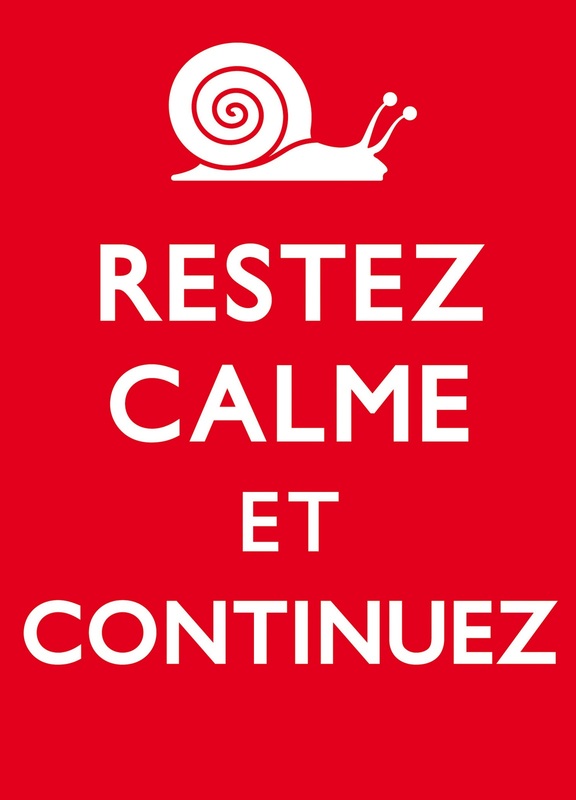 One person said she has a snail in her kitchen she can't get rid of, so the card will calm her down!!! So next time you visit my stall, you'll know why I have a Special Dolly Parton Card Section!!! 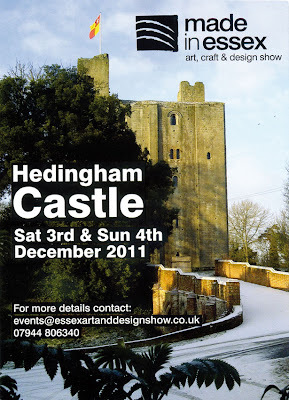 I now have a little break until my next fair, which will be on 3rd/4th December at Hedingham Castle. But I will still be frantically producing new designs and stocking up on old favourites. Lots of scanning and Photoshopping to do now! Here is a little scene of some happy shoppers! A packed stall once again! Here are the cards, but sadly none with Dolly Parton! Just a gentle reminder that on Saturday I will be at the HANDMADE AND VINTAGE FAIR at Leigh Community Centre. Kick-off is 10am and it's FREE!!!! 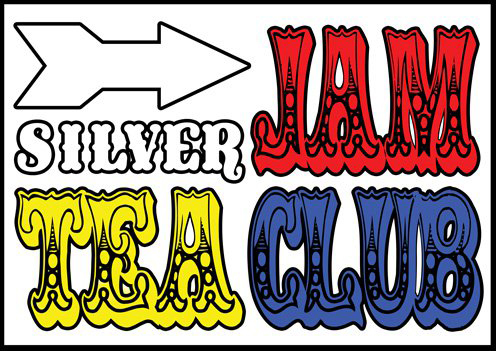 Not only can you indulge all your vintage dreams but there is a superb tearoom, what more could you ask for?! Dare I mention it.......but something is fast approaching.........CHRISTMAS!!!!! Oh no I said it....... 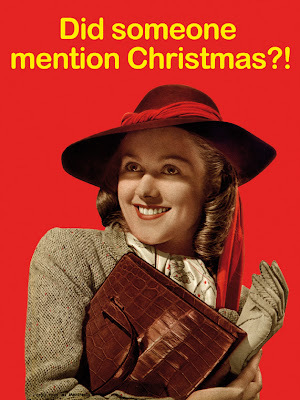 So what better place to get those pesky Xmas pressies in early!! 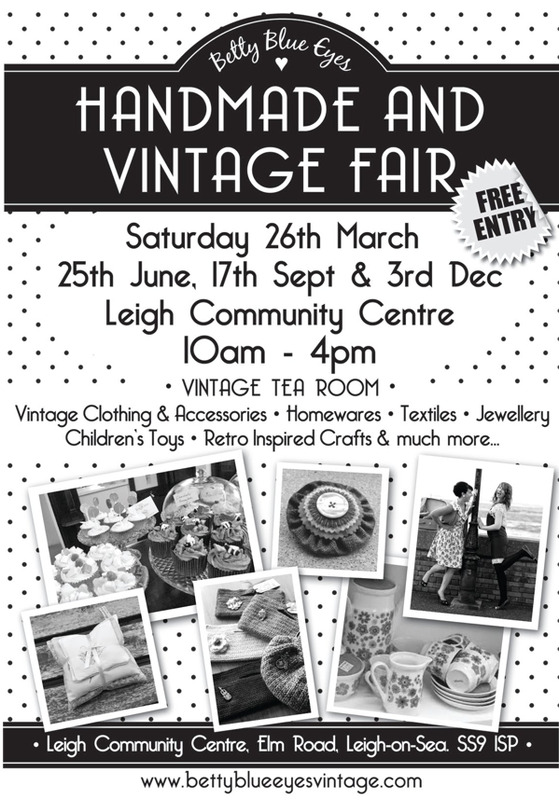 It will be all go in Leigh on the day, as there is also the Old Leigh Regatta down on the seafront. So come along and make a day of it, spend all your money at the fair then mess around on the boats later!! 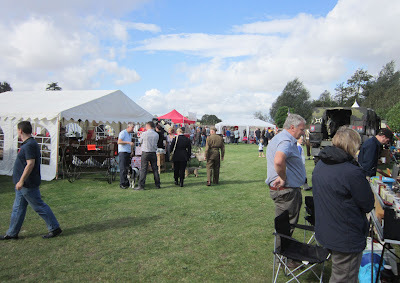 What a fabulous time I had at the MILITARY FUN DAY! Despite the threat of hurricanes and rainstorms everyone braved it to enjoy a glorious day at the Mill Race Garden Centre!! 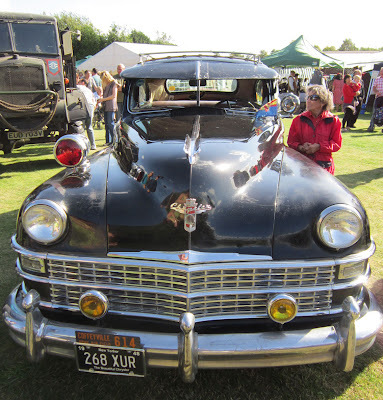 With an impressive array of vintage military vehicles, people in uniforms and a stunning 40s soundtrack playing to us all day, you felt like you had stepped back in time! To add to that feel, there was even a fascinating reconstruction of a bombed out French café and an original Second World War pillbox. It really was brilliant to have so many people dressed in their immaculate wartime uniforms, from British soldiers to American airman and aircrews. And they really know how to dance as well! 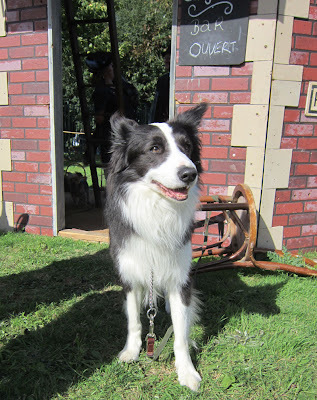 So despite a pesky breeze that played havoc with the stall all day, I had so much fun and met so many great people. 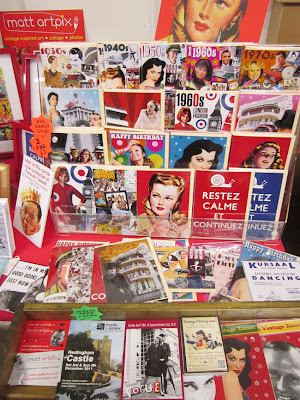 I had a huge amount of interest in my pictures and collages. It was also the first time I'd expanded my stall to sell some vintage items. 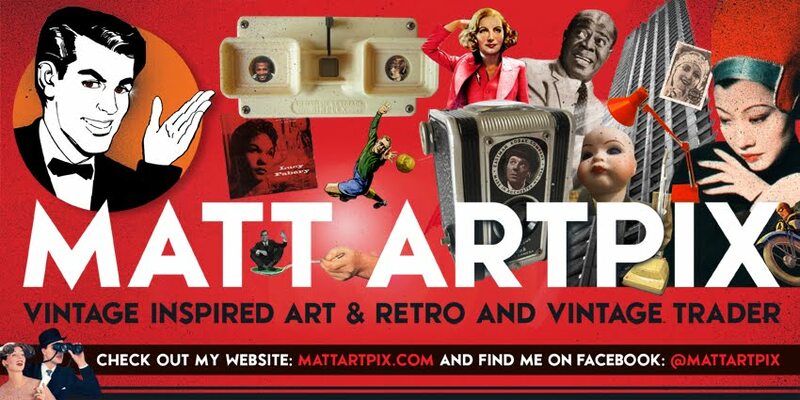 I'm very pleased to say, I sold almost all of them!!! So watch out for more items on future stalls!!! A big thank you to the A VINTAGE LIFE team for organizing this brilliant day and also to the staff at the Mill Race Garden Centre, who very generously gave us free teas and coffees!! 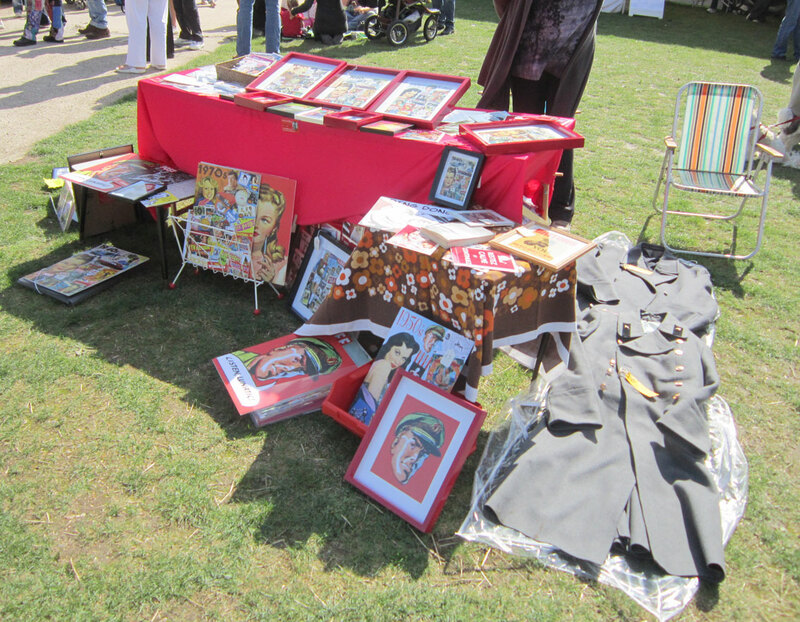 Here is the stall, had to have things flat on the table as they would go flying with that pesky wind! 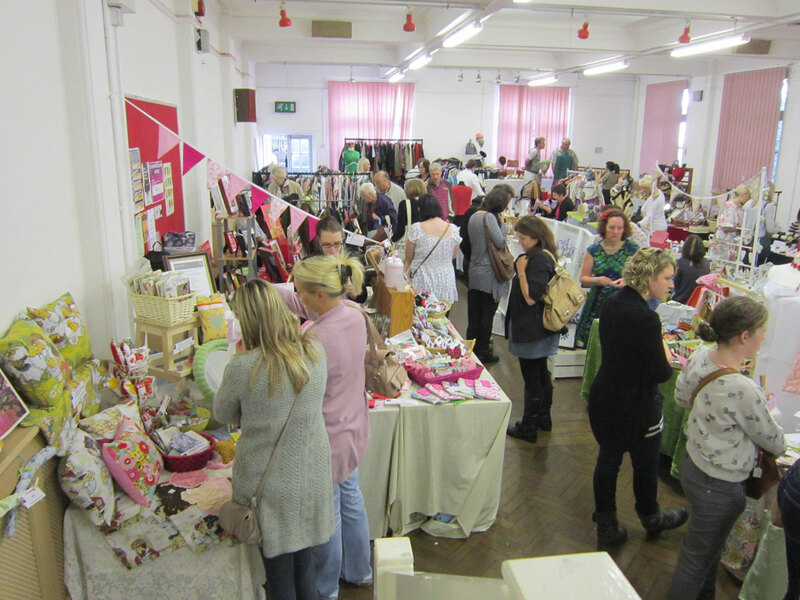 A view of some of the stalls, note the uniformed shoppers! A Vintage Life's Annie Andrews kept the troops entertained! 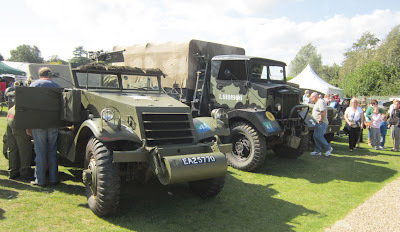 Just some of the amazing vehicles on display. 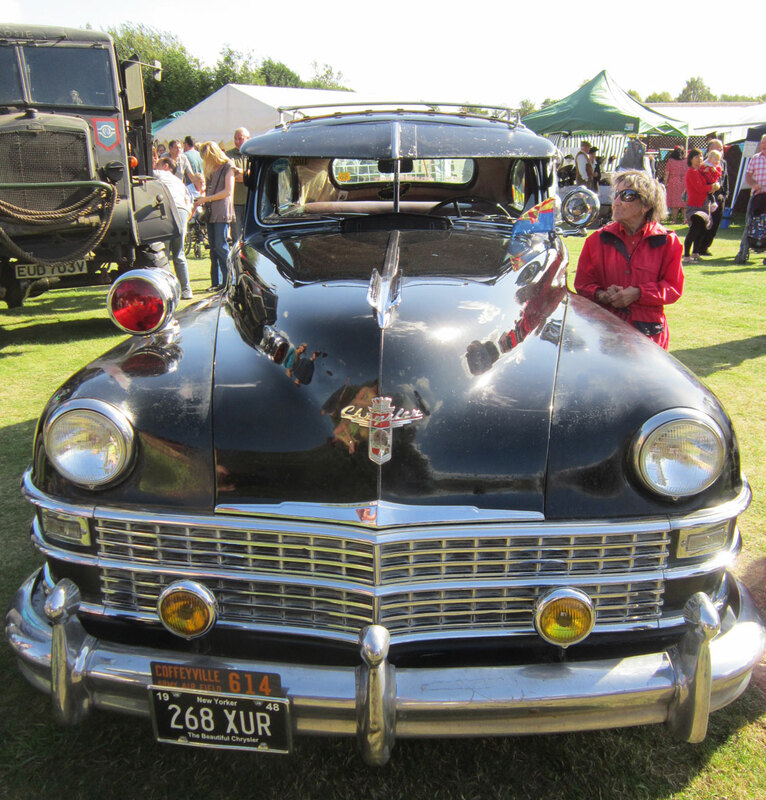 This beautiful Chrysler seems to have a new fan! A step back in time. 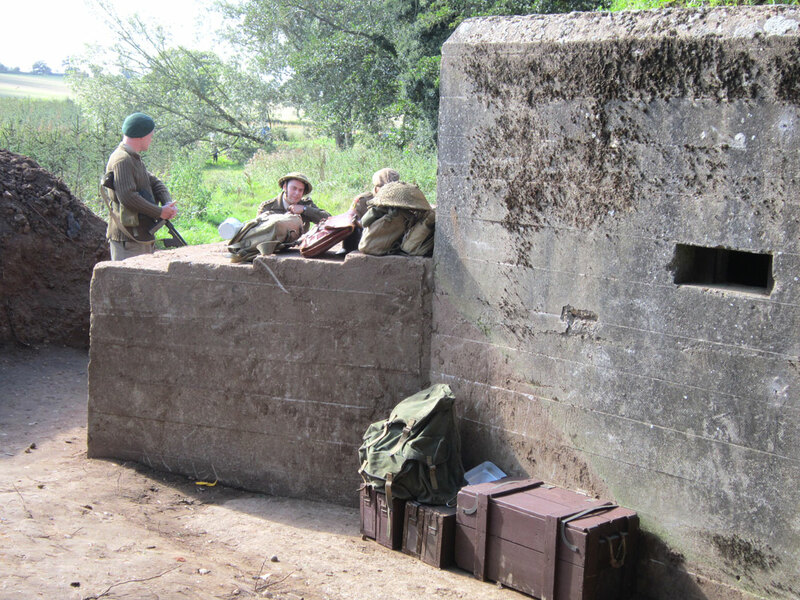 The original wartime pillbox at the garden centre. 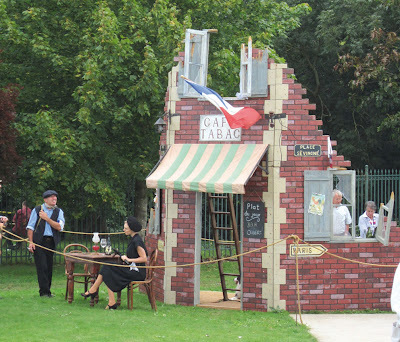 This superb French café scene, with Annie Andrews doubling up as Resistance fighter! The cutest guard dog ever is telling us the bar is open!